Libraries checked out books, and checked in food. 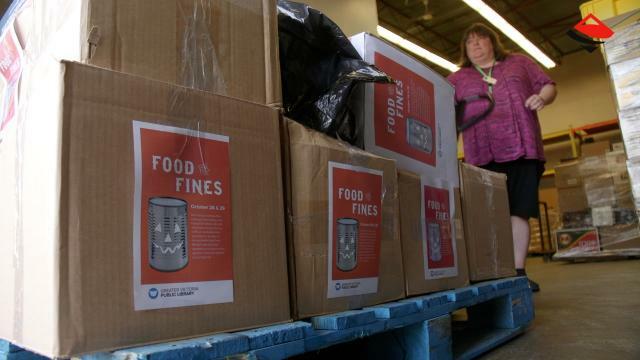 The Greater Victoria Public Libraries Food for Fines program forgave late fees in exchange for food donations and families in need were the beneficiaries. The Mustard Seed Street Church and Food Bank was one of several food banks receiving non-perishable food items brought in on Oct. 28 and 29 where $5 in late fees were waived for any food donation. Approximately 1,000 pounds of food were donated over the two days. See our video story below.